"After this, when Jesus knew that all was now finished, he said (in order to fulfil the scripture), ‘I am thirsty.’ A jar full of sour wine was standing there. So they put a sponge full of the wine on a branch of hyssop and held it to his mouth. When Jesus had received the wine, he said, ‘It is finished.’ Then he bowed his head and gave up his spirit." Jesus was a man who always knew exactly what to say. He would spend hours preaching to crowds of people and pages and pages of my red line Bible are filled with the crimson words of my NASB translation. He was not afraid to say exactly what those around him needed to hear, especially when they were searching for another answer. This is especially true as the story of Holy Week unfolds. He spent a good deal of time speaking to unwilling ears and telling them who he was. My favorite times Jesus speaks are not the long sermons. It’s not the parables he tells. Both are absolutely important and full of good things to learn. I get something new from them every single time I read or hear them, but the heart of what I learn from the Gospels are in Jesus’ shorter interactions with people. He gains followers simply by asking “What do you seek?” He healed a lame man by simply saying “Pick up your mat and walk.” There is power in His words. Perhaps the most powerful of these words is found at the end of today’s Gospel reading. There was nothing left for Jesus to say. He had said all He was there to say and done all He had come to do. Jesus knew what was coming next and had told everyone what to be ready for. After enduring the worst things humans can do to each other, he had two things to say. First of all he asked for a drink. The Bible is full of thirst. Thirst for the spirit, thirst of knowledge and just plain thirst. God poured water on a thirsty land. Jesus offered the living water so that whoever drank it would never feel thirst. Could it be that at the end he was simply thirsty? Knowing what I know about the things that have been recorded about Jesus, I think it is partly true, but there is also a lesson here. His last request was a statement. He was thirsty. This reminds me that even at the end of life, it is important to keep searching. A few years ago, a patriarch at my church died somewhat unexpectedly. He kept his illness quiet until just at the end. That was who he was. He didn’t want people fussing over him. In life he had been a caring, quiet man who was always willing to share his story and knowledge with anyone if they asked, and he had lived a remarkable life. My dad visited him in the hospital at the end. The only thing he ever says about this meeting was that when he walked into the room, he was laying on the bed reading. As they conversed, my dad leaned over to look at the book. It was written in Greek or Hebrew or some other language most people in my home town have merely heard of but don’t understand. Even at the very end of his life, he was still learning and still seeking something. It’s as if these words could have come straight from Jesus himself. 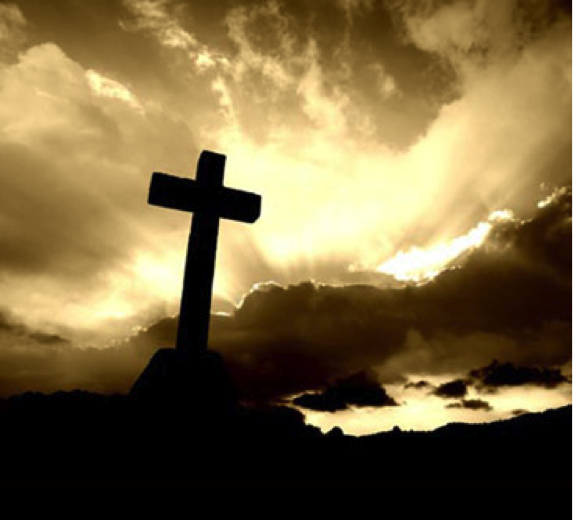 The story of Jesus’ death on the cross is filled with emotion. I am reminded of the story every year, and every year I watch my mom wipe tears from her eyes. It is a passage I find easier to read silently than out loud for just that reason. As Mr. Magorium says, we are “overwhelmed with dysphoria.” We are sad because of the life that is lost. The life we see unfolding in those four books in the Bible. We are sad because of the cruelty we inflict on each other. These are not the things we are asked to remember, though. That is not what the Easter story is about. Dodoma, Tanzania where she enjoys teaching Standard 1 and Standard 4. Wow! That's all I can say.. Keep sharing! Powerful words, heartfelt emotion, and a gift of love. Thank you!